1. Covering GST Judgements of Supreme Court, High Court & Advance Ruling Authority also judgements on VAT and Sales Tax since 1961. 2. 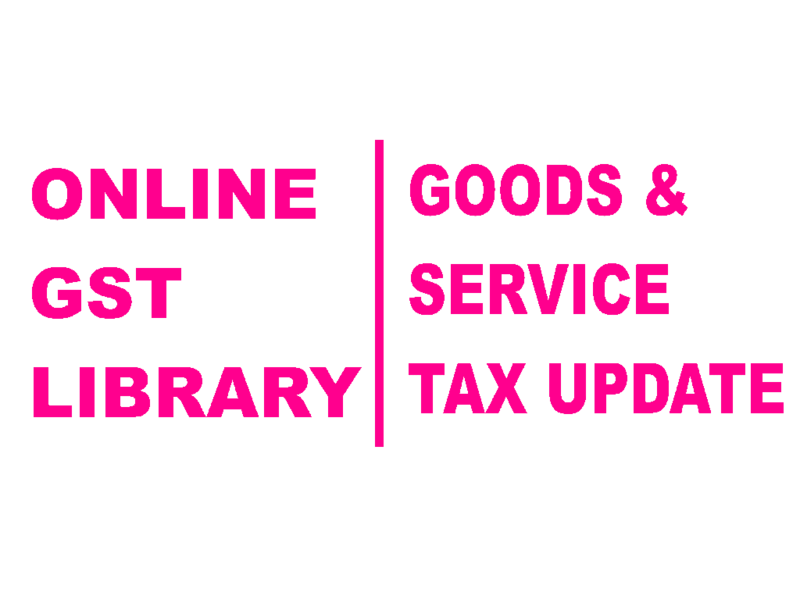 Citations of STC, VST and Tax update since beginning are available. 3. Up-to-date GST Act & Rules are available. 4. CGST & IGST Notifications & Circulars available date wise & subject wise. 5. GST Tax Rates with HSN code are available schedule wise and commodity wise. Just type the name of commodity and rate history of particular commodity will be on your screen. 6. GST rates on services with SAC code are also available. Just click the name of service and services taxable & exempted under that group will be on your screen. 7. All Press Releases issued by CBEC. 8. GST council recommendations alongwith related notifications. 9. Up to date service tax Act & Rules. 10. All notifications & Circulars on service tax properly arranged -date wise, subject wise, Act/Rules wise for easy search. 11. Tax Rates on various services with complete information at one place. 12. VAT & Sales Tax judgements published in STC/VST/Tax update available- Court wise, subject wise, section wise etc. 13. VAT/Sales Tax Notifications/Circulars (Rajasthan) available since 1955. 14. Vat rates of various Commodities (Rajasthan) available just at one click.